Recent progress in the understanding of immune responses to cancer and how tumor cells evade immune control have led to the successful introduction of cancer immunotherapy, in particular immune checkpoint inhibitors (ICI). Treatment of cancer patients with immunotherapy such as ICIs has led to new challenges, including starting and stopping rules for immunotherapy, the management of immune-related adverse events, and logistic issues for the production of cellular therapies and viral delivery vectors. These challenges are not disease- or organ-specific and several potential biomarkers to predict response to ICI are under investigation. We installed an interdisciplinary discussion platform for managing patient-specific challenges associated with cancer immunotherapy in our institution. 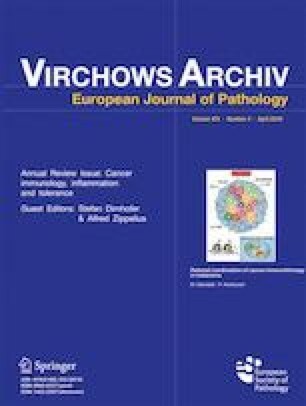 Here, we describe an immune tumor board for the management of cancer patients treated with immunotherapy and provide an outlook on how such a platform could be potentially used in the future to discuss rational and personalized combination therapies, and how to improve the management of side effects occurring under immunotherapy. We would like to thank the patients and their families for letting us present their cases in this report. H.L., S.D. and A.Z. wrote the manuscript. H.L. and A.Z. treated the patients that are discussed. This work was supported by funding from the Goldschmidt-Jacobson Foundation and the Cancer League of Basel (KlBB). Written informed consent was obtained from the patient for the presentation of the samples and the tissue. H.L. and A.Z. received travel grants and consultant fees from Bristol-Myers Squibb (BMS) and Merck, Sharp and Dohme (MSD). H.L. received research support from BMS and Palleon Pharmaceuticals. A.Z. received research support from Roche. S.D. received consultant fees from Novartis and Takeda.